You can pass the North Carolina Real Estate Salesperson License Exam on your 1st try! - How to study for the North Carolina PSI exam quickly and effectively. - What kinds of questions are on the North Carolina Real Estate License Exam? - Should I use the North Carolina Real Estate License Exams for Dummies Book? This Real Estate Study Guide contains over 600 PSI real estate exam questions and answers with full explanations. It includes a real estate MATH ONLY portion, a real estate VOCABULARY ONLY exam as well as the simulated North Carolina STATE exam questions and answers. You will receive questions and answers that are extremely similar to those on the North Carolina Real Estate Commission's exam. 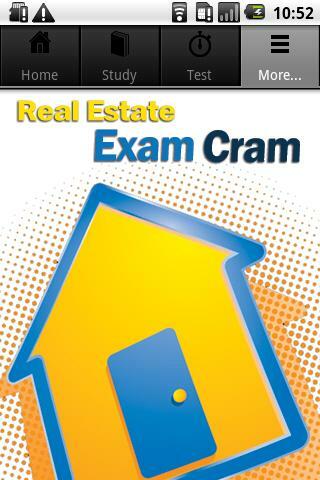 You deserve the BEST real estate exam prep program there is to prepare you to pass, and it gets no better than this. The North Carolina Real Estate Salesperson Exam is the hardest state exam to pass in the United States. We have compiled this simple exam cram book that quickly and easily prepares you to take your state licensing exam and pass it on the 1st try. Our Real Estate Exam Review is designed to help you pass the real estate exam in the quickest, easiest and most efficient manner possible. Throw away your real estate course test books and class notes, this is all you need to pass! Search "Exam Cram Gurus" in the app marketplace to find more of our products. We are a group consisting of Real Estate Professionals that include Salespersons, Brokers, Real Estate Attorneys and Ex-Real Estate Exam Proctors and have been providing real estate exam preparation materials since 2002 for thousands of real estate licensees, professionals and real estate schools throughout the United States. Our online real estate exam materials provide you with the knowledge needed to pass your state exam and quickly help you on your way to becoming a successful real estate agent.